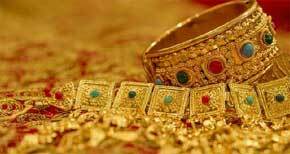 Vastu for Prosperity: There are many vastu shastra tips and techniques to bring more prosperity. In this Vaastu link we may taught about few corrections or recommendations to make our property more positive for the prosperity. For example, if the land or a site is sloppy from South to North direction then Money flow will be cumbersome to the inhabitants. On the same way the land in a site is sloppy from West to East direction then the residents may ready to face any challenges including money matters too, on the same way they may get good opportunities for happy living. By reading this we may understand that South and West directions should be elevated and North and East directions should be depressed. This is a sign of auspicious. Following some simple tips or techniques may bring prosperity to the home. All the rules never been fit to every site or home, any way this is the general principle. One should not do any wrong corrections by reading Vastu Websites information or vastu books. Further it is indicated that West facing elevated land brings stamina to the residents. They can face the challenges. This is a good sign of strength and health. Where there is health there is generally people will get good ideas and can able to earn more money. This image animated image expresses that there is the land which is towards West direction is height / elevated and it went towards East which is sloppy. Its nothing but the East direction land at a site is depressed and West direction land is elevated. This is a sign of auspicious as discussed earlier above. We should be careful before taking the plot, residents has to check the site whether it has 90° or not as per the directions, by keeping the compass at site or land we may easily find out about the degrees of a site or home. Most probably 90° site is always safe. Its a huge subject which is available at Skewed property link. In addition to this one should compulsory has to assume the neighborhood effects on the site, these are all basic and primary things. Once every thing is adequate to the vastu principles then site owner may start the construction. Its advisable that they may first approach one Vastu Specialist and there after they may start the construction. A person who wants to made his own building design with his vastu knowledge by reading the vastu books and vastu websites. This is a structure for college purpose. "U" shaped structure and open towards East side. These people running their institution in a successful way and getting good name in society. This property owner was taken vastu consultancy for their property. After seeing his success, one of his competitor planned the same construction. Same as it is. No mistake was made, but he was lost every thing including reputation in the market. If every thing was same, why he got the losses, what are the facts, What mistake he was done ? A simple logic will save the entire institution including money and reputation. This property owner requires to save vastu consultancy money. This is not a mistake. Saving earnings is a good thought, but we should think where exactly we have to do saving cash and where exactly we have to spent money. Observe the both images. Almost same construction, the upper image building was constructed facing towards East, this property constructed facing towards West direction. More open space towards West direction, construction towards East direction, particularly and main negative point is "U" shape was towards West direction, all these turned him into pauper in his business and lost his fame in the market. Spend earnings where exactly you requires. Practical knowledge is important, theoretical knowledge is different, one should not do practical with theoretical knowledge. If he wants to do, he must atleast work for a period of one year under an competent Vaasthu expert. We shown the directions in both images. No structure was touch the Northwest part of the Compound Wall. It should be free, otherwise money moves fast from the House. Some residents construct the cattle shed towards Northwest corner, but the structure should not be contiguous to the compound wall on the Northern side, but it can however touch the West or western boundary wall and it should not touch the main house North wall, it looks like an independent property and should be built in line with the main house West direction. There are prescribed rules for each and every part in the house, factory, commercial properties, then the inhabitants will enjoy the real fruits of the Vastu Shastra. Leaders never loose their hardship. They always looking only for success, they won't care for the minimal expenditures. Can I place the sofa set in my bedroom? 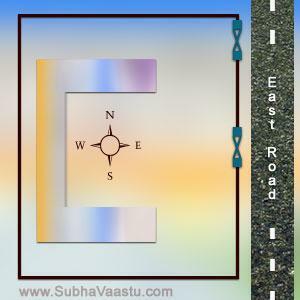 Who is the best Vastu Consultant in Mumbai? We are shifting to a Villa, which is the best place for the Kitchen? 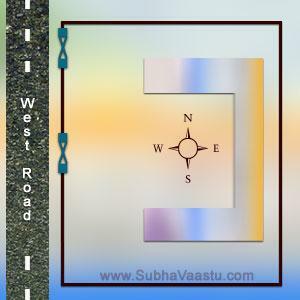 Vastu consultant in Burlington, need vastu consultancy advices? Where should we keep pooja mandir in my home or in my factory? We are moving to Flat in an apartment, which direction flat is good? In my home there are in total of 11 doors, is this create any problem?